On 13th June 2018, 6 meat processing plants in Ireland were approved by the Chinese authorities to start exporting their frozen products to the Chinese market, including 3 beef plants in Tipperary, Meath and Cork, and 3 pork plants in Tipperary, Laois and Cavan. 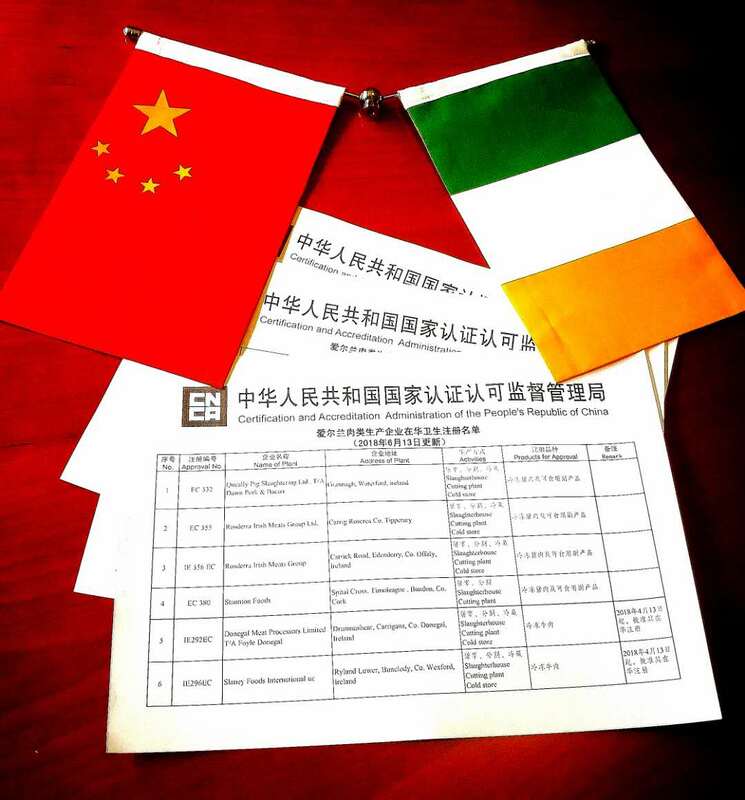 With this latest addition, the total number of Irish meat producers approved to export beef and pork to China has risen to 13, according to the Certification and Accreditation Administration of the People’s Republic of China (CNCA). On 13th of April, 3 beef processing plants in Donegal, Wexford and Monaghan were approved and accredited. The 4 earlier-approved meat plants already selling pork to Chinese consumers prior to 2018 are respectively located in Waterford, Tipperary, Offaly and Cork. Ireland is the first beef producing country in the European Union that has re-gained access to the Chinese market after the BSE (Bovine Spongiform Encephalopathy) epidemic outbreak in 1990's. Against the backdrop of Brexit, the Irish Government and the Irish agri-food industry see greater opportunities in the vast Chinese market. Having been the 2nd largest market for Ireland’s pork exports for years, China is now ready to receive and consume Irish beef, which is well-known throughout the world for its high quality.